Hi Guys! Happy Good Friday/Easter Weekend! 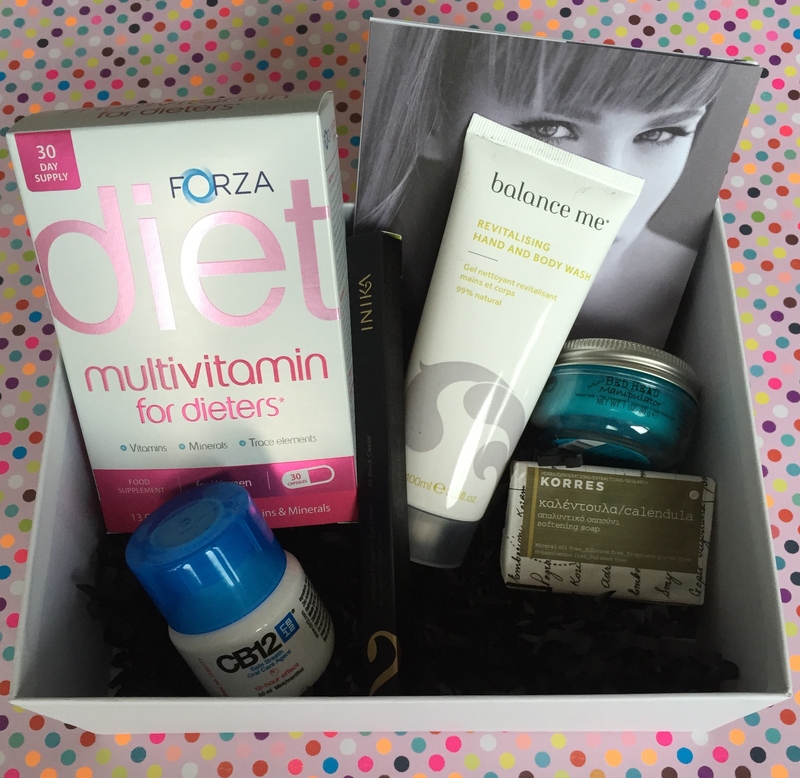 The Look Fantastic April Beauty Box has arrived swiftly this month and as always I can’t wait to unwrap what’s in the box. As you know I absolutely love Look Fantastic and am always purchasing products on there as well as subscribing to their beauty boxes. Sadly, for this month’s box, on first impressions I’m slightly disappointed. I like the fact that there is a selection of brands which I have seen but never sampled as well as others which are well known. However the box content this month is valued at around £45 compared to previous boxes which were valued at £75+. Additionally the content is not overly suited to my personal needs like other boxes have been. So here’s what is in this months box. 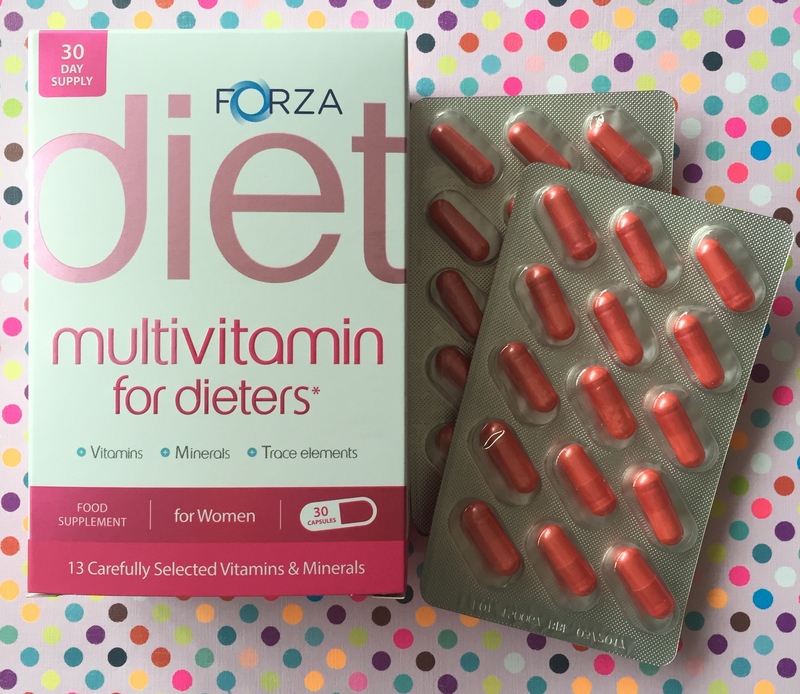 You may recognise the brand Forza as in the past year there has been an increase of celebrity endorsements of their Raspberry Ketone tablets which are said to assist weight loss whilst teamed up with healthy eating and exercise. These capsules are designed specifically for women and aim to provide the body with all the nutrients and vitamins needed during dieting. Containing calcium, six types of vitamin B, Vitamin C, biotin and zinc, this monthly supply will assist in keeping the body healthy whilst calorie intake is reduced. One thing which attracts me to this is the ingredient biotin as this is the vitamin which assists in healthy hair growth, good skin and strong nails. When dieting, these are the first things to be affected if you skip consuming essential nutrients. This 100% natural brand has created this uplifting, feel good fragranced hand and body wash. Gentile on the skin, it cleanses skin without stripping away essential moisturiser and will rapidly rehydrate dry sensitive skin. It is enriched with a warming blend of four essential oils and contains mandarin, grapefruit, bergamot and sweet orange. It has a very pleasant but not over powering zesty fragrance. 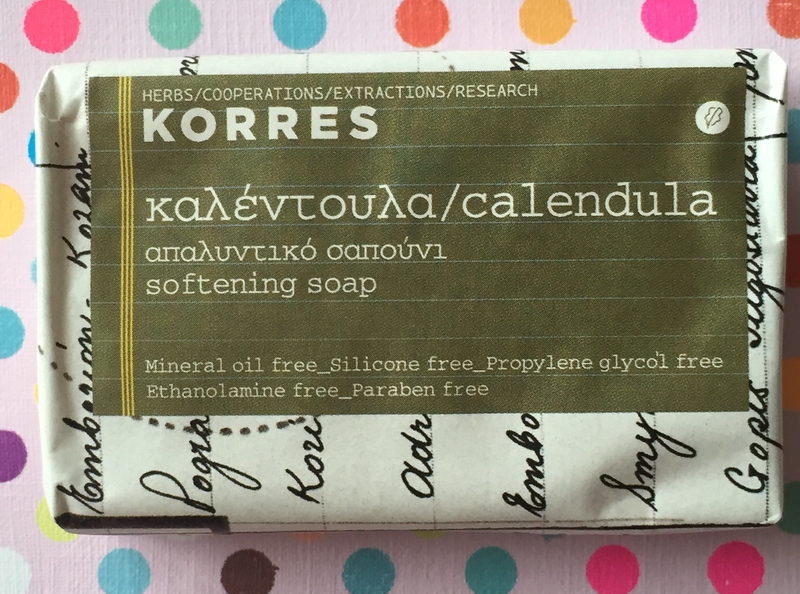 Another citrusy smelling product was this soap by Korres. It is formulated with one of skincare’s most admired heros, Calendula. This is a herbal remedy proven to heal wounds and soothe skin. It moisturises the body whilst deeply cleansing the skin. It is particularly suited for dry or sensitive skin. I am very particular about the mouthwash that I use and I will always stick to Listerine Zero, as it contains no alcohol ie doesn’t have the burning/nipping sensation like most other mouthwashes. Therefore I will put my hands up to say that I will not be sampling this one. 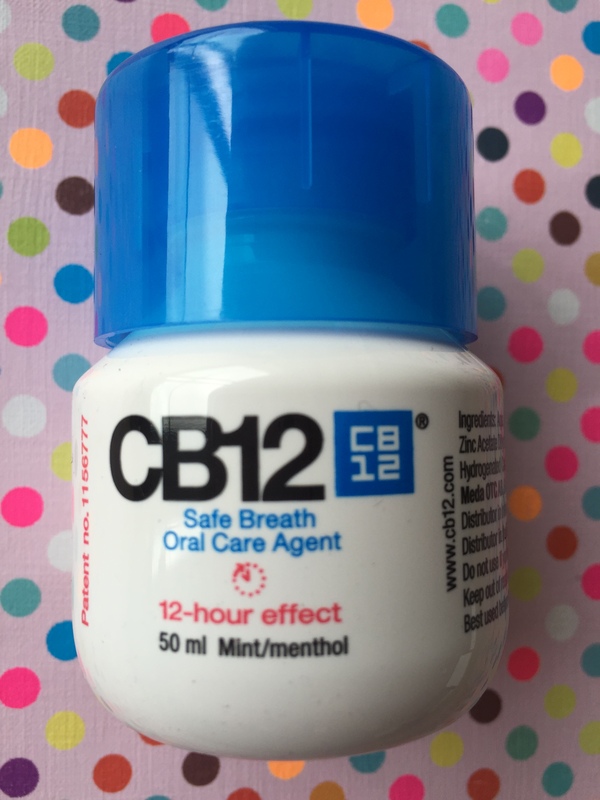 However, this is a refreshing mint and menthol mouthwash that provides an instant effect. It is a long-lasting rinse that will last for up to 12 hours. Bad breath is a build-up of bacteria in the mouth, found between the teeth, in gum pockets, or on the back of your tongue. The zinc acetate neutralises sulphur gases in the mouth and blocks the formation of substances that cause bad breath. Containing 0.05% of sodium fluoride, this mouthwash is designed to help reduce plaque build up and prevent tooth decay. This is a brand that is new to me and on first impressions I really like this. I received the eye pencil in Black Caviar – 05, and is seems to glide on easily and is long lasting. I found it slightly difficult to smudge so it’s good if you want a defined eye liner. INIKA is a completely natural and organic brand which is free from Talc, Parabens, Bismuth, Oxychloride and fragrance. Most importantly this brand does not test on animals and is vegan which gets a big thumbs up from me. I am a fan of Bed Head, TIGI and Catwalk however some of their products can be hit or miss. 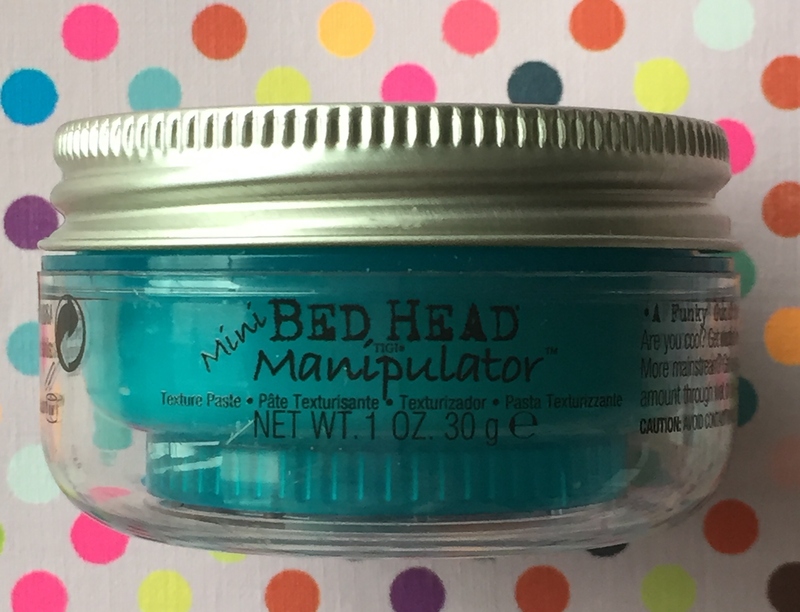 The Bed Head Manipulator shampoo and conditioner is really good and the smell is simply delicious. It smells like apple/pear sweets. The packaging and colour of the products is fun and appealing. 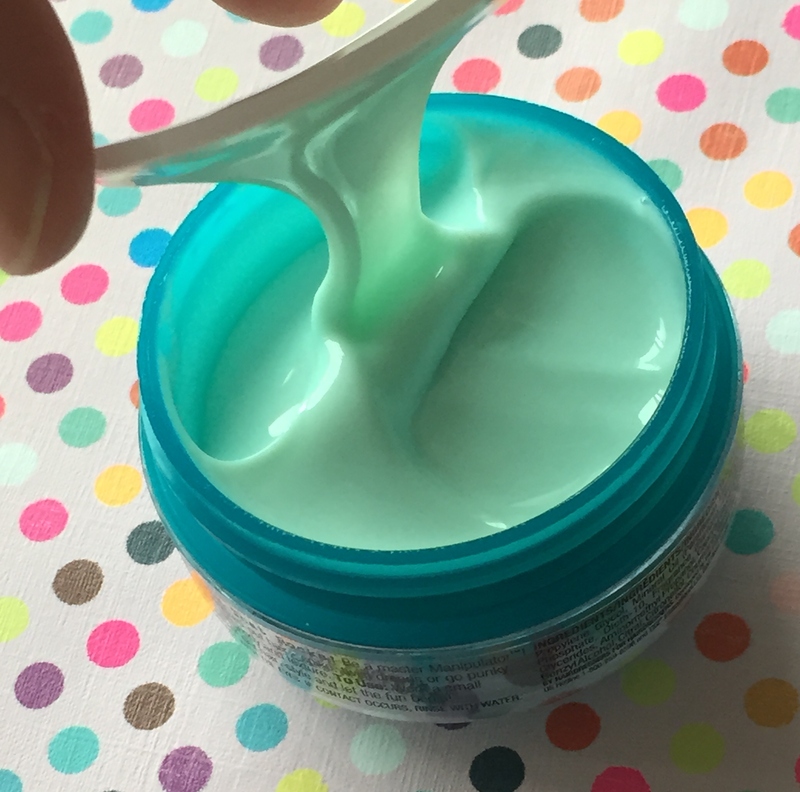 This texturised paste is a odd funky gunk. I think it’s most likely tailored to those with shorter hair styles. It is said to create body and texture however I’ll most likely give this to my boyfriend to try as I don’t really fancy putting this sticky solution onto my hair I’m afraid. If you have tried it and you have longer hair, then please let me know your thoughts. If you have trialled any of these products let me know as I’d love to know your thoughts. The April box is available now on the Look Fantastic site to purchase. You can also buy the individual items on their site. ← McBusted M.E.A.T Tour – Glasgow 12th/13th March – I was there!! !